Tupelo - Robert Leon (R.L.) Estes, 86 of Tupelo, Mississippi passed March 27, 2019 after a short illness. Leon was born to Cleo Dennis Estes and Velora Whitehead Estes December 20, 1932 in Mooreville, Mississippi. He graduated from Verona High School in 1950. 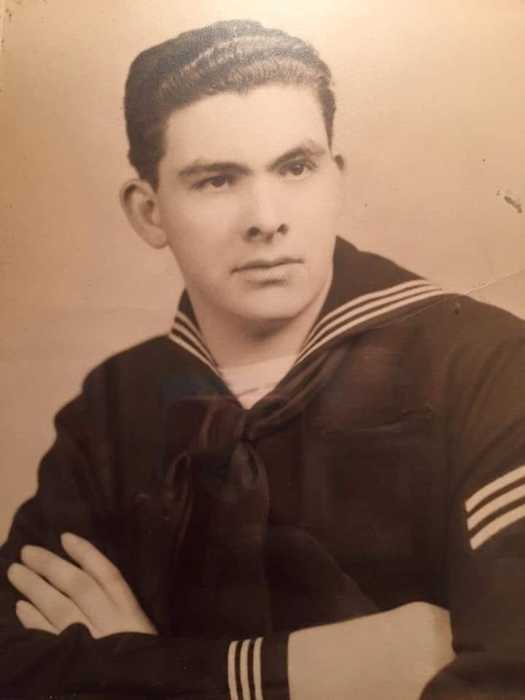 He joined the Navy in May of 1950 and was a member of the first crew of the aircraft carrier USS Oriskany (CV34), he spent his last 2 years of service at the U.S. naval base Chaguaramas in Trinidad W.I. He married Flora Ann Sheffield in 1954 and lived together in Tupelo, raising 2 children. He leaves as his legacy 2 children Robert Glen Estes (Jama Baker) of Gulf Shores, Alabama; David Leon Estes (Maureen McNichols) of Denver, Colorado. He also leaves his siblings Bro. Jerry Estes of Shannon and his sister Linda Jo Hood of Tupelo. His grandchildren Heather Estes Timmons (Blake) of Tupelo, Bradley Glen Estes (Kim) of Mantachie, Anastasia Estes Bucanan of Pensacola, Florida, Che Estes of Snellville, Georgia and Christian Estes of Jackson Hole, Wyoming. Great grandchildren Karley, Marrianna, Hayden, Noal and Cason. He was preceded in death by Flora Ann Estes (wife), C.D. and Velora (parents), Charlene Estes Tomlin (sister) of Dorsey, Jimmie Ann Estes Layman (sister) of Springville, Alabama and Ruth Estes (sister) of the home. R.L., was a business owner until his death. He founded R.L. Estes Typewriter Company in 1955 over the years he sold numerous types of office machines, cash registers, office supplies and office furniture. A funeral service is scheduled for Saturday March 30th, 11:00 AM at Holland Funeral Directors in Tupelo. Visitation will be Friday March the 29th from 5-7PM and on Saturday March 30th from 10:00AM until time of service at Holland Funeral Directors. Bro. Danny Rushing and Bro. Toby Mears will officiate the ceremony. A family graveside service will follow at Lee Memorial Park. The family would also like to thank special caregivers Tasha Moss and Allison Siebert for their tireless assistance. Pallbearers will be Scotty Ethridge, Jeff Estes, Jim Rice, Che Estes, Steven Craig Reese, Blake Timmons, and Bill Tomlin. Condolences to the family may be posted at www.hollandfuneraldirectors.com. For those who cannot attend, the services may be viewed at www.hollandfuneraldirectors.com/livestreaming.